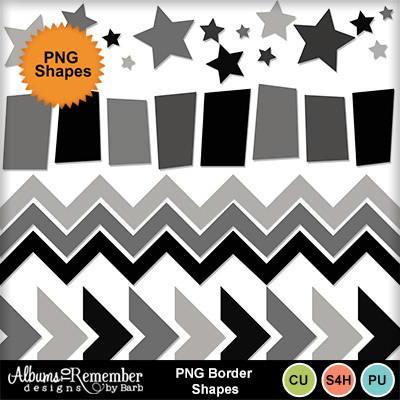 This set includes 4 PNG borders (chevrons, starts, zigzag and rectangles). 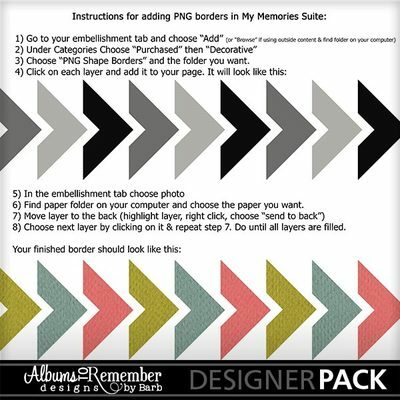 Each shade of grey in the border set is on a different layer so you can add various papers or colors to match your layout. Add through the embellishment tab.